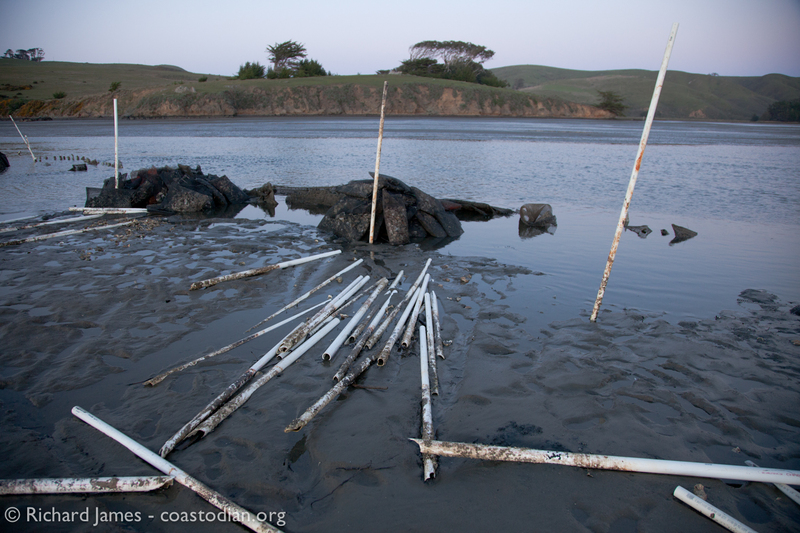 Click the words “Save our Tomales Bay…..” above to see this entire post. 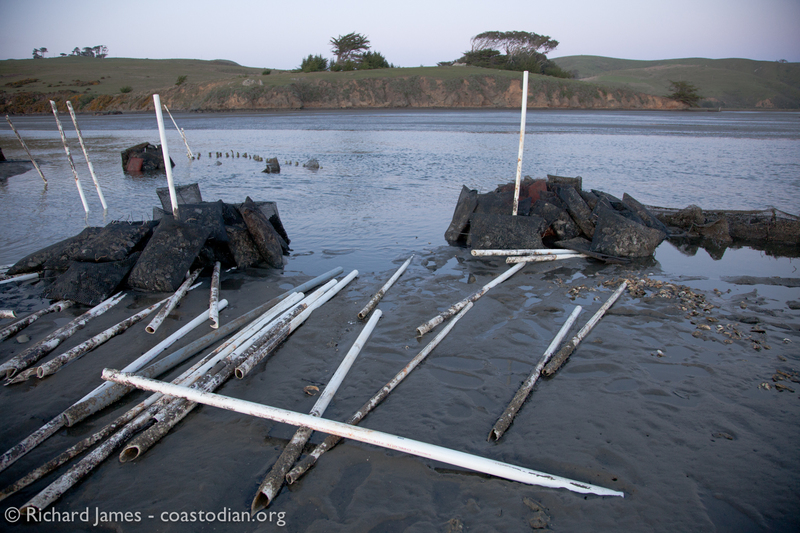 Yesterday (6 March) I once again visited the oyster lease area at the mouth of Walker Creek in Tomales Bay. Prior to reaching the site of an unpermitted structure that has been altering the natural flow of Walker Creek for years, I was blessed with the sight of hundreds of marbled godwits, seasoned with some willets and sanderlings. 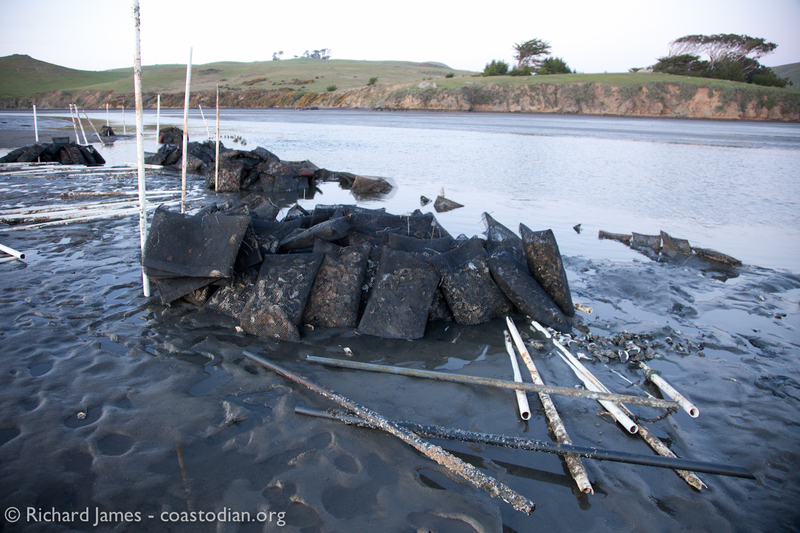 There is evidence of progress in the cleanup, which is good. There is also evidence that the scope of this egregious misuse of the public commons is greater than even I imagined. 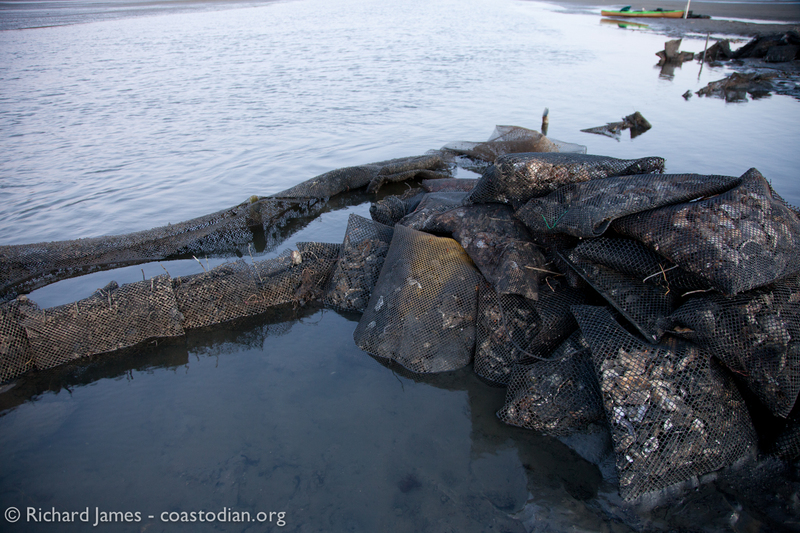 The number of plastic grow-out bags used to form a channel moving dike is uncountable. 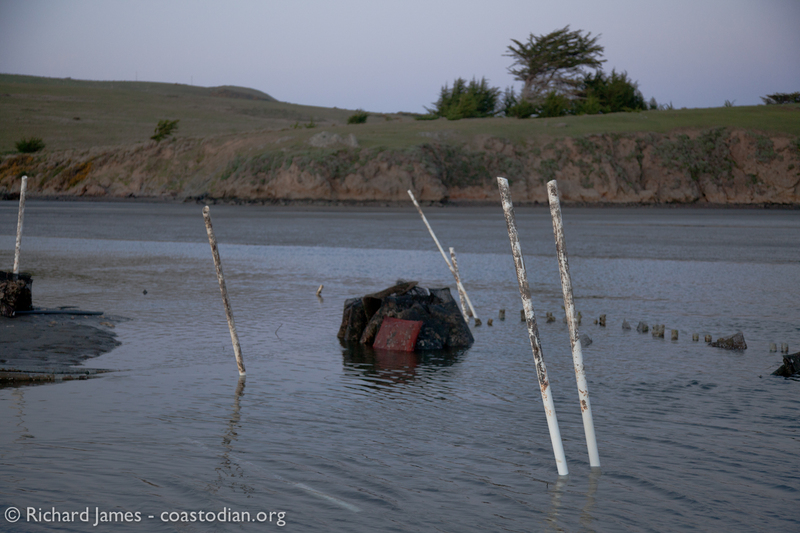 The bags and PVC pipe used to anchor them go on forever into the channel they have harassed for years. 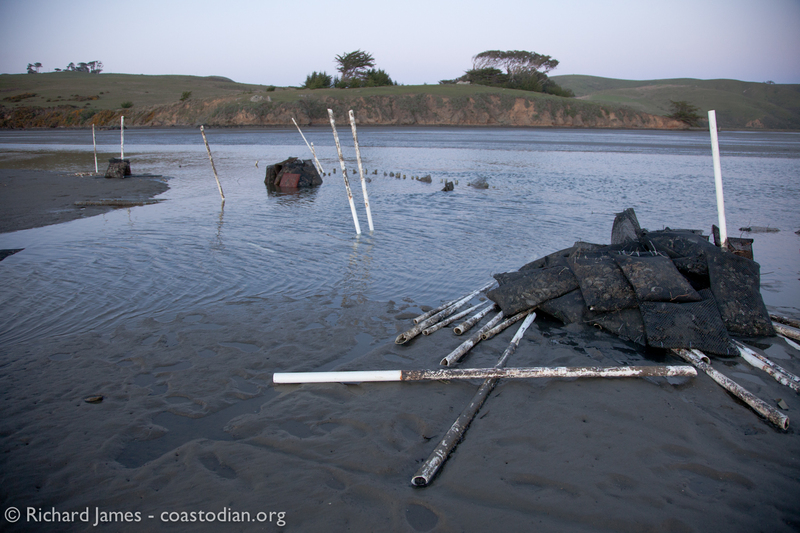 Let’s hope that Tomales Bay Oyster Company keeps at it and quickly removes this pox on an industry whose welcome is teetering on the edge of worn out in some quarters. 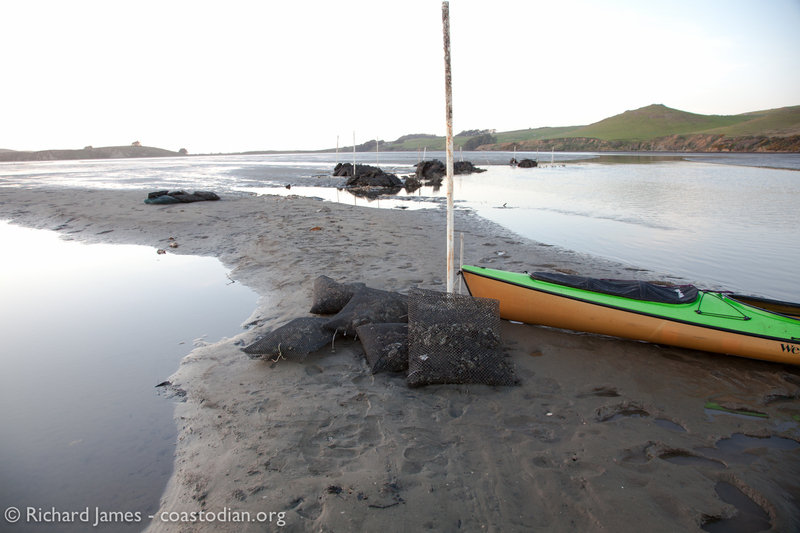 This entry was posted in Save our Tomales Bay and tagged California public trust tidelands, California state water bottom lease, illegal construction, litter, marine debris, oyster farming trash, oyster grow out bags, tomales bay, Tomales Bay Oyster Company, trash, walker creek by Coastodian. Bookmark the permalink.